The HVAC technician is an air conditioning, heating, and ventilation specialist. He participates in the development, installation, and maintenance of air conditioning systems: refrigerators, refrigerated trucks, cold rooms, refrigerated showcases, special containers or air conditioning of large spaces. When a technician is specialized in maintenance, they are in charge of systems distributed in an industrial zone, a city, etc. In the event of a breakdown, a technician studies the installation plan, locates the malfunction and replaces the defective or worn parts and then makes the adjustments. As an installer, the HVAC technician contacts the customers to develop a project and an installation estimate. 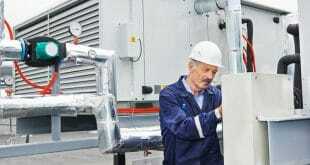 The HVAC technician then follows with the installation of the machines. Finally, within a design office, he participates in the creation of new systems or the adaptation of existing products. 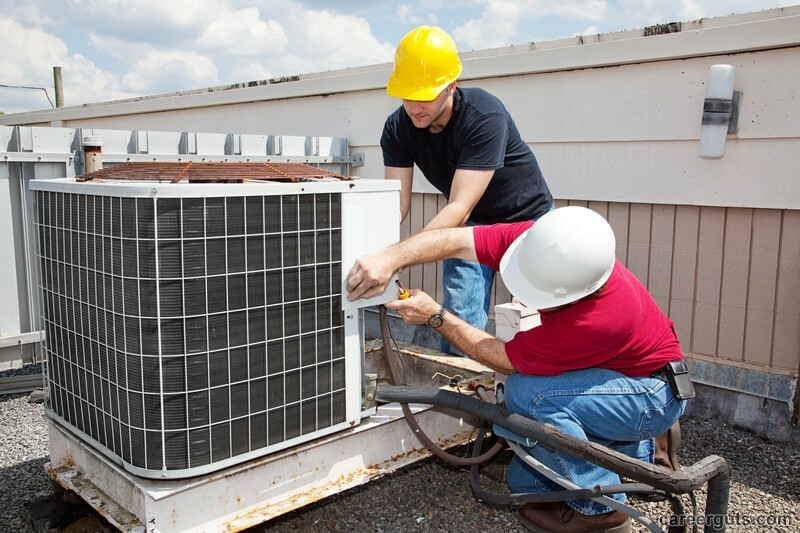 Manufacturers of HVAC equipment also hire HVAC technicians. HVAC technicians work for manufacturers of household refrigerators, industrial refrigeration equipment such as industrial kitchens, pharmacies, catering and air conditioning manufacturers. In order to intervene in systems combining various technologies, the HVAC technician must mobilize the knowledge he has acquired in a wide range of fields: automatisms, mechanics, thermal energy, applied electrotechnics, hydraulics and resistance of materials. The HVAC technician may, depending on the case, be in charge of a geographical area encompassing several sites or be assigned to a large site. With a small team of maintenance agents, he is placed, depending on the size of the company, under the authority of an engineer, an agency manager or directed by the boss. Condensing boilers, thermodynamic heating, air-conditioning by absorption and solar collectors, these are a few of the many types of new equipment and systems that the HVAC technician must know in order to optimize his professional practice. 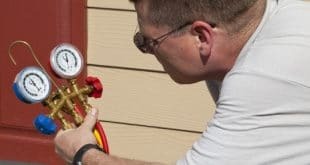 Air conditioning equipment that stops in the summer, a boiler that stops working in January: in these cases, it is necessary to troubleshoot for a customer in an emergency. An HVAC technician advises clients and offers solutions to improve the efficiency of the installations. An HVAC technician also brings their expertise and technical assistance during complex interventions. HVAC technology can be used in supermarkets, food processing laboratories, or in refrigerated warehouses. As the HVAC engineering sector is expanding, the labor market has a bright future. Highly sought-after, the maintenance technician is employed by both the construction companies and the service companies responsible for the operation and maintenance of these installations. The trade requires multiple meetings with customers: owners of houses to be air-conditioned, managers of fleets of equipment in industrial zones, traders, vehicle manufacturers, etc. Activity peaks in Summer, while all facilities are operating at full capacity. It is difficult for an HVAC technician to take a holiday at this time. His schedule changes depending on the emergencies. Most of the time, he can organize his work independently. Moving constantly on construction sites, the technician can travel long distances on the same day. The timetables are, by definition, irregular. There is no question of leaving the site before the system is restarted, and it must frequently be completed as soon as possible. The fight against greenhouse gas emissions and the control of energy are today an environmental priority. In this context, the cold, heating and air-conditioning sectors are developing and the labor market is favorable for qualified professionals. The HVAC technicians in many regions work mainly with food craftsmen, in the restaurant sector and in agri-food companies (supermarkets). Sustainable development has a strong impact on HVAC engineering with the integration of renewable energies (photovoltaic, geothermal, etc.) and new materials (eg condensing boilers). Numerous positions are offered in the maintenance and troubleshooting of equipment for individuals, industrialists, and traders or even in large structures that have their own maintenance team: airports, supermarkets, railway stations, etc. The refrigeration technician moves a lot, either to follow an installation site or to perform troubleshooting. If he works in a design office, he is more sedentary. An experienced maintenance technician can access a position as a group leader or sector leader, and then take over an agency. Alternatively, you can change your business, for example by becoming a business manager, where his mission will be to prospect for and retain customers, or as a technician in a design office, where he will be responsible for designing new equipment. Good relationships with customers and a sense of service are essential in this business. Qualities that must, of course, be allied to a rational and methodical mind. It is necessary to be able to reassure the customer who is the victim of a breakdown and to give them advice so that such a misadventure does not recur. Previous How Much Do HVAC Technicians Make? Next What Is An HVAC Technician?